We played a great round of Golf with James and then proceeded to Happy Hour! 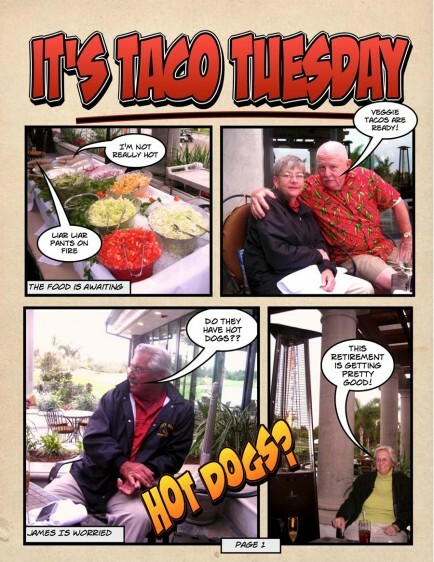 Please join the frivolity at Happy Hour/Taco Tuesday! Paul took off for the Santa Ana Elks to participate in Bob Duda’s membership ceremony which Sue hit the treadmill and watched two good movies. This entry was posted in Food and Wine, Friends and tagged Elks Lodge, Family, Friends, Golf, Old Ranch. Bookmark the permalink.